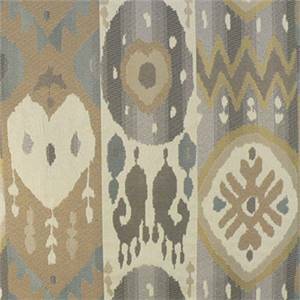 This is a gray, blue and natural woven Ikat stripe upholstery fabric, suitable for any decor in home or office. 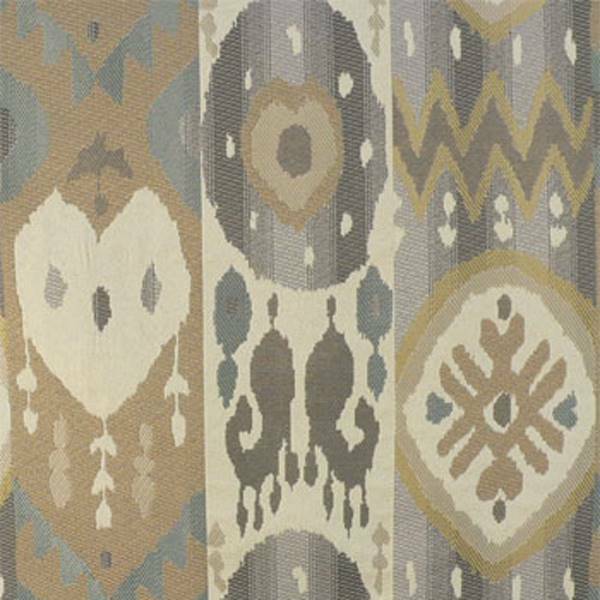 If you're looking for a great bold Ikat fabric, look no further. You'll like this for sofas, chairs, ottomans, decorative pillows, headboards, valances and even bedding like duvet covers and bedspreads.